Three of the world’s richest and most intelligent men have started a joint mission to be the first to find alien life. These three men are Russian entrepreneur Yuri Milner, physicist Stephen Hawking and facebook’s founder Mark Zuckerberg. According to MailOnline, they have recently revealed that they will be listening to signals coming from 'Earth 2.0'. 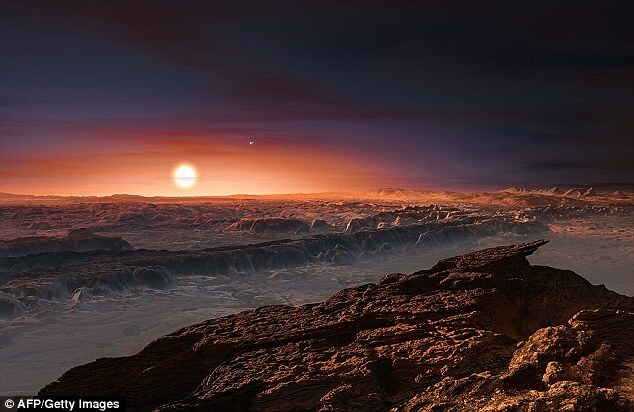 Scientists believe that the Proxima b, the rocky planet is supposed to have the right circumstances to actually harbor life and it is only four light years from Earth. The trio are financing an aspiring $100 million (£76 million) mission known as ‘Breakthrough Listen’, which is subjected to use the world's most powerful telescopes on Earth to listen to messages from Aliens. Just last month, scientists discovered clear evidence that our neighboring star, Proxima Centauri, is the sun to another Earth-like rocky world. Astronomer have discovered thousands of exoplanets before this, but unlike the others, researchers say Proxima b is close to our reach. No doubt four light years is a very long way - more than 25 trillion miles – but the future generations of super-fast spacecraft could possibly travel to the planet in just next few decades. Much further in the future the planet may even be colonized by space travellers from Earth. In upcoming month, the Breakthrough Listen group will look for radio discharges that vary from the natural background noise using the Parkes Observatory in Australia. JNASA used the same observatory to receive live onscreen pictures of the Apollo 11 moon landing in 1969. Let’s just hope that these sort of projects get some success and more attention of people, so it might make a difference soon.